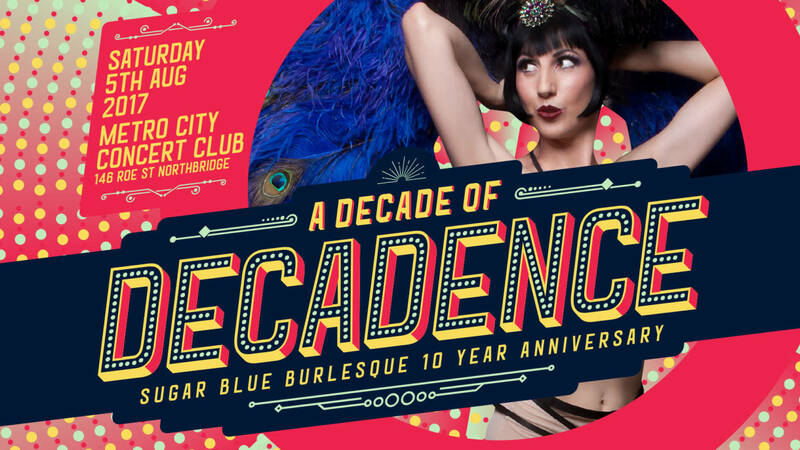 Join legendary vintage cabaret troupe Sugar Blue Burlesque as they celebrate their 10-year Anniversary with a feast of entertainment at A Decade of Decadence!! Hosted by the one and only MC Magnus Danger Magnus, ‘A Decade of Decadence’ will feature over 30 performers from around the world as well as the Fringe Festival nominee 10 piece Jazz band, the Perth Cabaret Collective! Underground Burlesque – Friday 2nd of June! Underground Burlesque – Friday 1st of September!